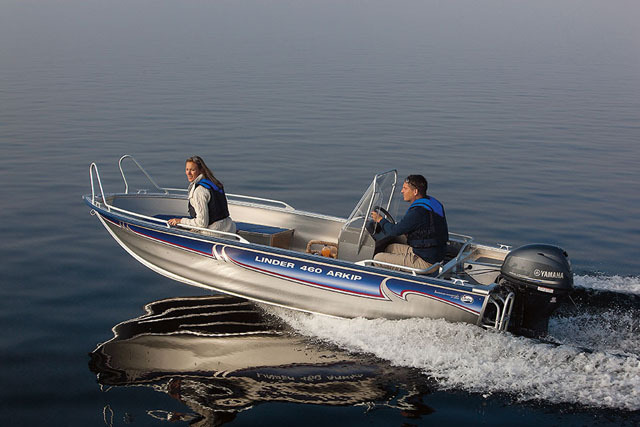 With a jet drive and a bow step, Avon’s Seasport 330 is ideal for shallow water running and estuary exploration. 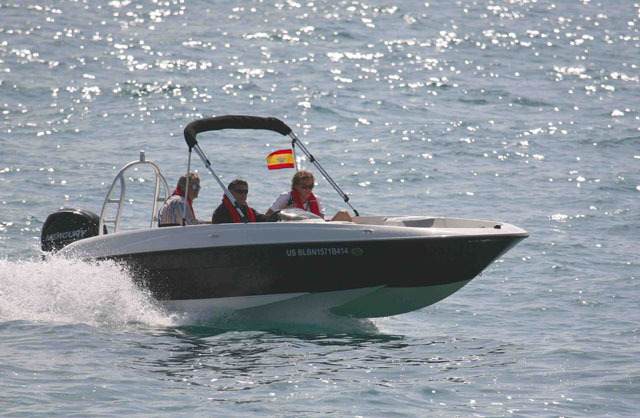 Avon Seasport 330 jet: An entry-level small jet-boat capable of 40 knots. The inboard engine also means that, despite broad tubes and a narrow beam, you still get a good aft platform with grab handles for swimmers and skiers. This four-man boat also offers comfy seating with a two-man bench aft of the helm and another ahead, but it’s the performance rather than the carrying capacity that is key. You can expect nearly 40 knots from this 11-footer, plus great poise from Avon’s well-proven hull and plenty of that agile, froth-churning dexterity for which sporting jet boats are so renowned. The fit-out is also quite plush, with deck lights, an integrated 45-litre fuel tank, sunken cleats and lifting points for use as a tender. 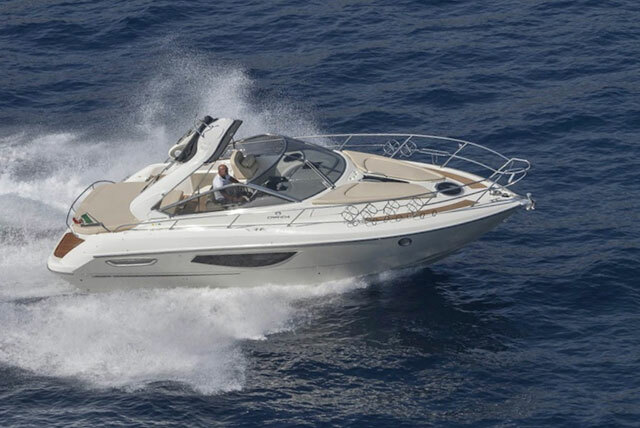 Of course, with their deeper hulls, broader beams and greater internal capacities, both the 380 and 430 are a better bet for the more ambitious boater but with a discounted price of just £20,100 at BHG Marine, the entry-level 330 is a huge amount of fun for the money. Dories (essentially shallow trimaran hull designs) have been around forever – and with good reason. 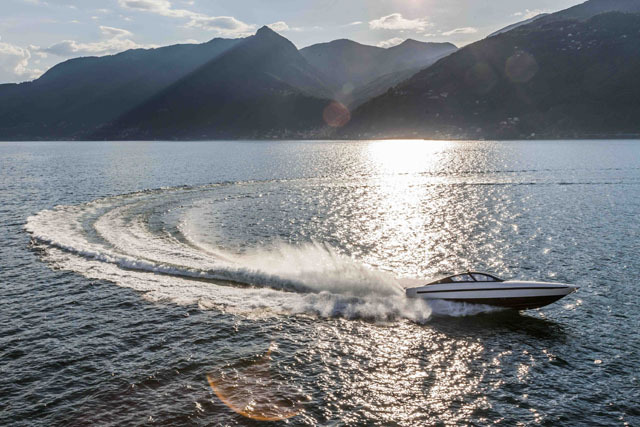 They provide plenty of performance on moderate power, plus lots of inboard space on a modest hull length and good lateral stability despite their compact dimensions. Ideal for families, the Dell Quay Dory is economical to run and offers huge amounts of stability and space. Certainly, they can be quite hard riding but that is a fair pay-off for a quick plane and easy running efficiency. In any case, Fletcher’s latest Dell Quay Dory uses a more leisure-friendly deck arrangement than ever before. The helm has been shifted forward to enable six adults to sit around the aft table. There is also a neat little bow flare to help deflect the spray out of harm’s way - and the all-round stainless steel grabrail is ideal for keeping your kids safe. 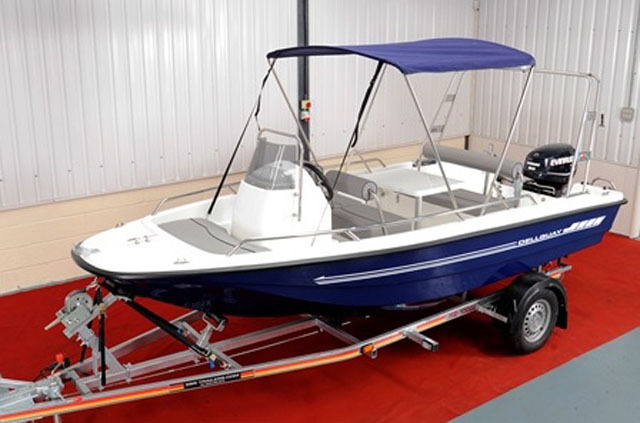 Best of all, with prices from £14,995 for a basic package (including 25hp outboard and braked trailer), you can easily afford to spec it up with a stereo, a quality coolbox, a full-length Bimini and a juicier engine of up to 60hp. As £20k family solutions go, they don’t come much more comprehensive than that. 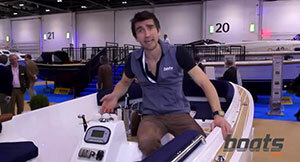 Linder’s top-end Arkip 460 is a much more serious proposition than some of the smaller boats in the fleet. The Linder Arkip 460 is a solid utility craft with built-in longevity and surprisingly good performance. Designed as a utility craft with authentic planing performance, it is every bit as cheerful on a day of inland fishing as it is with inshore cruising and summer skiing. Standard equipment includes a solid toe rail plus all-round grabrails with side embarkation points and a step-through bow. You also get a bathing ladder, a 1.5m rod box and a steering console offset to starboard with a proper, elevated screen and nav lights. Made in high-quality corrosion-resistant aluminium and security-marked with Securmark microdots, the six-man Arkip is by no means an ambitious seaboat. 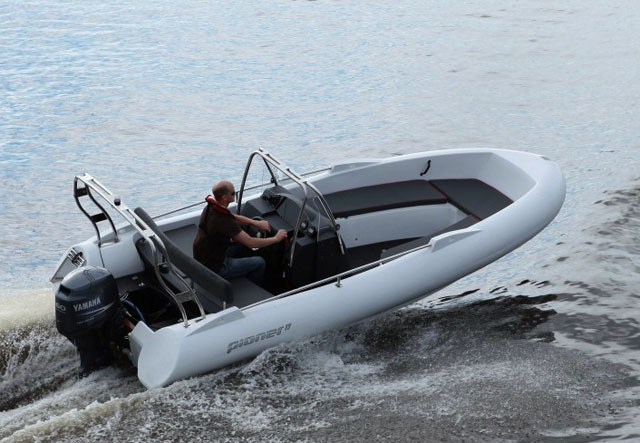 With a weight of 286 kg, a deadrise of 12 degrees and a freeboard of 58cm, it’s too light, flat and shallow for that - but specced with Yamaha’s F50, it would make a very capable little partner for a mixed life of boating entertainment. 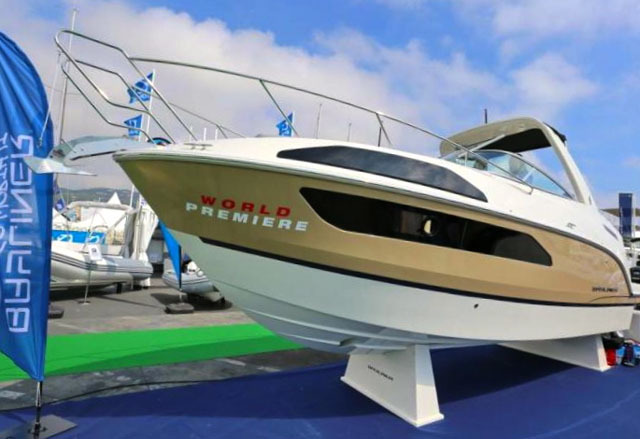 No assessment of the boat buying options at this price bracket would be complete without a nod towards polyethylene - and nowhere is the material better used than in the hands of established specialists, Pioner. 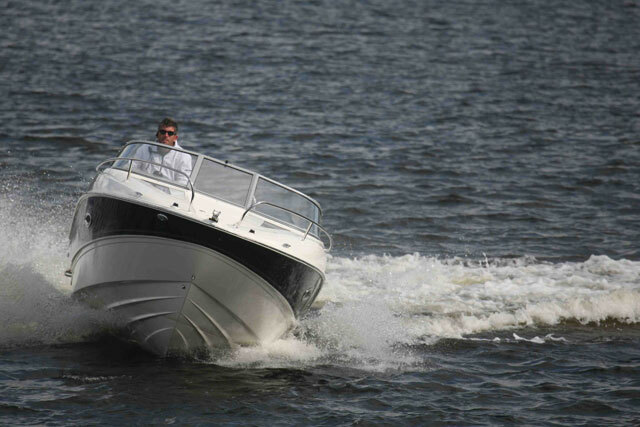 Pioner Flexi 17: Rated to handle up to 80hp on the back, the polyethelene hull includes some good standard features. Here, the 17 Touring (also known as the Flexi for its breadth of application) is an open design with space for seven people and folding seats in the bow to help generate extra space when not required. 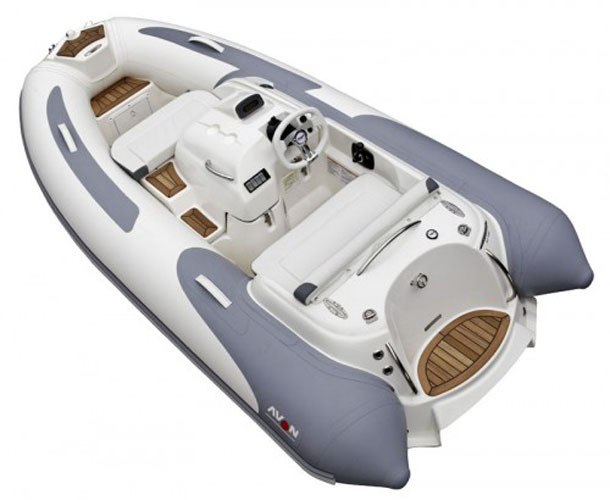 Pioner claims that its “Shock Reduction Concept Technology” helps generate a dry and smooth ride even in heavy seas but I would take this with a substantial pinch of salt and ensure that deep, cosseting cushions are firmly on your checklist. In basic form, however, the features are pretty good. You get some neatly integrated headlights, a double steering console with integrated 55-litre fuel tank, a windscreen with grab rail, a padded backrest on the aft bench and a boarding ladder. You can also specify the optional A-frame and still come in on budget – or you can upgrade the 40hp package price to incorporate the top-end 80hp outboard and buy yourself a whole new level of performance, with a top end approaching 37 knots. The Bayliner XL is basically an extended version of last year’s entry-level ‘Element’. 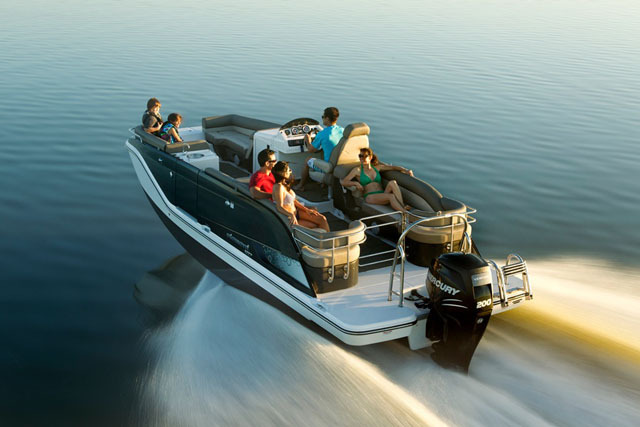 Bayliner XL: an enlarged, extended Bayliner Element with engine options up to 115hp and seating for eight. Using the same hull shape and internal arrangement, it adds an extra 60cm to the stern, plus some extra scope to the engine choice (up to a maximum of 115hp) and the option of a supplementary fuel tank to ramp up the range of the standard 45-litre unit. By using the additional aft space for some aft-facing loungers, it also carries eight people (rather than the Element’s six) and the helm position (a moulded seat placed much too far away from the wheel) also comes with the option of a deep cushioned insert to help generate some much needed support for the small of your back. 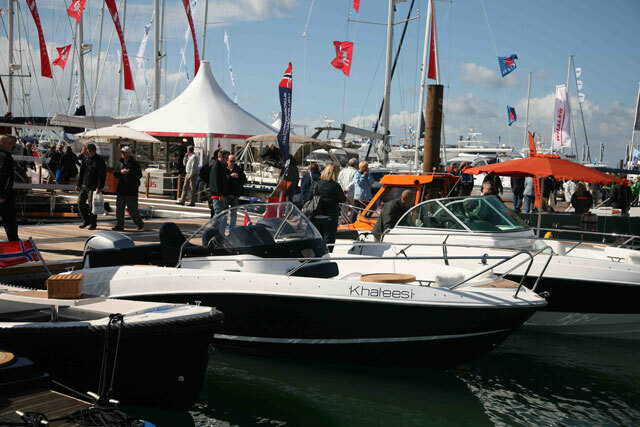 Of course, despite its extra length, the XL remains quite shallow, wet, hard and exposed (and there’s still very little in the way of forward-facing seats) but as a budget tool for sociable fun on flat, sheltered waters, it does exactly what Bayliner intended – and for that, it deserves your attention. For more help with buying a new or used boat on a budget, see: 5 of the best used powerboats for under £5K, 5 new powerboats under £5,000, or 5 of the best used boats for £10K.